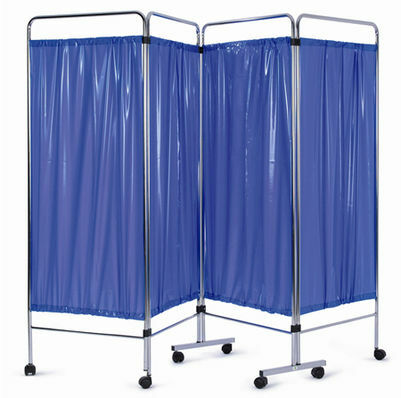 Available in 3 and 4 sections, removable vinyl curtains available in blue, green or white (unless specified white curtains are supplied as standard). Curtains supplied fitted. 50mm diameter free rolling castors. Folds flat when not in use.